Aqua Tiling - Tiler - Tiling based in Hoddesdon, Hertfordshire. 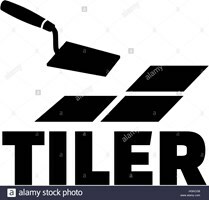 We are a family run business with over 20 years’ worth of tiling and bathroom experience, we also have a good knowledge of tiles to suit your bathroom or kitchen. We take great pride in our work and service, our work is always to a high standard and we communicate well with the customer to insure that you are happy. We specialise in porcelain, ceramic, mosaic, natural stone also.